It’s been some time since Vincent has had a good day. Sitting on the bus, he still doesn’t know that his life is about to change. Forever. At that moment, outside the bus, Lady lets a little smile escape when recalling an anecdote about tomatoes. Vincent sees the smile and his world turns upside down. 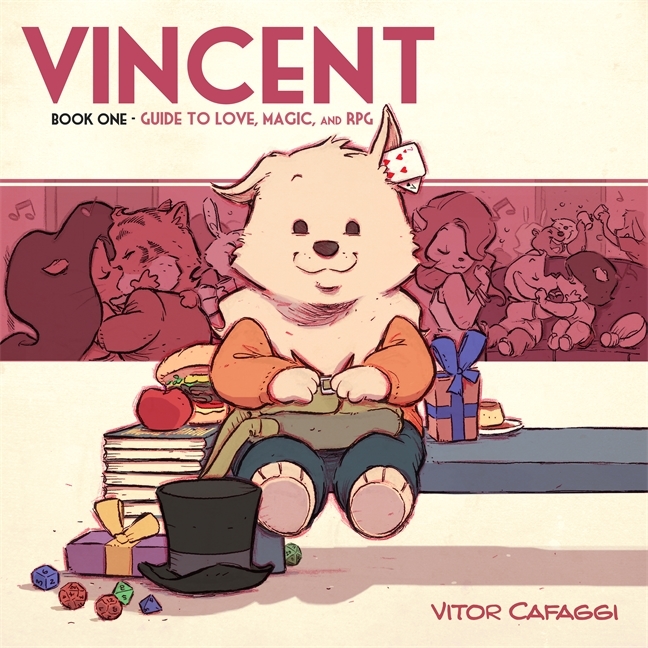 Now, armed with his nerdy RPG friends(not counting Bu, who is like a sister to Vincent and full of solid wisdom), an impressive magic act, and a insatiable love of roast beef sandwiches (no pickles, Vincent hates pickles), he must learn how to navigate his first non-platonic love and what may happen if things don’t go as planned (as they often do in the life of Vincent).